This quarter, the Wilshire Center District Safety Team assisted the City in getting over 460 bulky items picked up, made 45 calls to the City for street repairs, and assisted in getting 120 graffiti tags cleaned up. 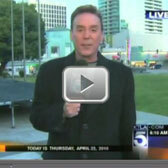 The team responded to 80 calls for assistance to the LAPD and others. They issued 77 illegal vendor warnings and assisted 35 homeless individuals. The team assisted in getting the City to repair over 50 street lights that were out along 8th Street. The sidewalk maintenance team collected 956 bags of trash, removed 850 stickers and used over 2 gallons of paint and 4 gallons of graffiti remover on graffiti on sidewalk pots, poles, and news racks. We are currently working with the Los Angeles BID Consortium to keep the City’s partnership with the LA BIDs strong, particularly in regards to providing trash bags and graffiti removal supplies as the City has been doing for over the past 10 years. Close to 100 overgrown ficus trees have been trimmed throughout the District by one of our contractors. Over 30 of them were on Irolo and 8th Street and more then 60 of them were between 3rd and 7th from Wilton to Hoover (Click Here to See Before and After Photos). The intersections of 8th and Irolo and 8th and Vermont have been steamed cleaned. The WCBID helped organize a community clean-up around Mariposa and Normandie between 7th and 8th Street. We have submitted a request to CRA/City to fund some much needed sidewalk repair work. PLEASE CALL 311 IF YOU SEE BULKY ITEMS AND GRAFFITI – TOGETHER WE WILL MAKE OUR COMMUNITY A BETTER PLACE. The WCBID knows that in order for our community to be truly safe our neighboring communities should also be safe. That’s why on June 12th at 9:30AM we will lead a peaceful march against crime and drugs from the Olympic Police Station to Seoul International Park. 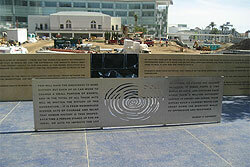 The Robert F. Kennedy Park in front of the new school on Wilshire Blvd. should be open sometime in June. Our security and maintenance teams will keep an extra eye on the park and will work closely with the LAPD Olympic Division and neighboring property managers to keep it clean and safe. All three schools on the R.F.K. site will be open this fall. We will work with the school administration to enhance the value of the campus for the District. We do see the possibility of using the large front lawn area at the school for events such as “Movies in the Park”. There is also a school pool that may be available during the summer for the community. The WCBID has been working closely with CRA to assist in submitting funding from Prop 84 for two other possible community parks in our area; one near Wilshire Blvd. and Hoover St. and another at Hobart Ave. and 7th St.
WC Cool District; we have started the building energy audit work with the assistance of Arup. The initial benchmarking work is done. Arup is currently conducting about 12 preliminary assessment level audits of buildings within the District. The CRA has agreed to assist in the funding of the Cool District program for about $200,000 plus the Mayor’s office has submitted an application for us to the Feds for an additional $150,000 from the Federal Earmark program. When the CRA funds become available within the next two months we will be expanding the number of free energy audits that we can provide to building owners. As part of the Cool District program, the CRA is funding the development of the District’s Carbon Master Plan. The plan becomes the way to articulate a low carbon vision for the District. This work will allow us to promote the District as a green community, to bring more attention to the District, and thereby provides another reason for someone to move to our area. The CRA may be providing an additional $75,000 to the WCBID for a Cool District advertising and marketing program. This spring the Wilshire Center Business Improvement District was the case study for the USC Masters of Urban Planning sustainability studio. This is a part of the work the LA AIA’s Committee on the Environment is doing with the BID to implement the concept of becoming a Cool District. This project was instigated because of the City of LA’s plan to construct a dedicated bus lane down Wilshire Blvd. This poses a unique opportunity to rework the street drainage at the same time in a way that benefits the watershed. However this cannot be done in isolation from the neighborhoods because the drainage along Wilshire is a part of the drainage system for all of the neighborhoods around Wilshire. Therefore, the Sustainability Studio took on the challenge of coming up with land use design ideas for the area that would improve the watershed functionality of the entire area. Because sustainability incorporates the environmental, economic and social health of a community, design ideas were developed that also enhance the social and economic vitality of the community. A strong component of each of the four design teams was the use of bioswales to capture storm water, the creation of more park space and opening up creeks that have been paved over. Other design ideas included urban agriculture, converting alleys into multipurpose green space, creating a vernal pool, turning a portion of the district into an arboretum and consolidating surface parking lots into parking decks to create space for new amenities. The best concepts from each team will be synthesized into one design plan. The winning project entailed turning the BID into 5 distinct districts, each of which were designed to function as a pilot project for how to implement watershed sustainability in different types of urban settings that exist around southern California, which include: commercial corridor, single family residential, multi family residential, institutional and educational. Use the links below to view a few of the completed USC Watershed reports. The CRA Traffic and Transportation Study has been completed and we will be providing an analysis of the study in the near future. A piece of data from the study: within a one mile radius, the 2002 daytime population (workforce) was 48,000, and the area’s residential census totaled 140,000 residents. Address parking pricing and availability in key nodes of the neighborhood where demand is optimal. Create options for employer/employee parking during peak work week hours that include nontraditional or privately-owned parking availability (i.e., church lots). Entice/direct developers and building owners to incorporate Transportation Demand Management (TDM) features during the development/planning review process and offer incentives for doing so. Review public policy/strengthen neighborhood partnerships within and among sub-areas to share parking facilities or to strengthen multi-modal options and cooperative program-sharing (i.e., weekend “valet” programs at key nodes). Improve infrastructure to support managed lanes concepts for public transit/ridesharing, especially during peak commuter hours. Tie in parking restrictions to complement the encouragement of multi-modal peak hour travel. Invest in technology that provides real-time options and information for travelers so that they may compare trip length, cost and options at key locations within the Wilshire Center/Koreatown area or so they can access this information conveniently through personal web-enabled devices. The ultimate goal is to strike a balance between future parking demands of the various land uses found within the Wilshire Center/Koreatown area while encouraging alternative modes of transportation to access these destinations. The combination and use of a variety of appropriate strategies that are balanced and perceived as “choice” by the public (rather than mandates) will continue to promote the Wilshire Center/Koreatown neighborhood as a great place to shop, work and live. Wilshire Boulevard Temple is set to begin a multi-year, multi-phase redevelopment project of the 3.9-acre block known as Magnin Square. At the center of the project is the restoration of its famed green-domed sanctuary, a local landmark that is on the National Register of Historic Places. Founded in 1862, Wilshire Boulevard Temple is the oldest Jewish congregation in Los Angeles. The 1929 sanctuary is an architectural treasure that has been used in numerous television and movie productions. Work is scheduled to begin in 2011 on the redevelopment project which will encompass restoration, seismic and infrastructure upgrades of the historic structures. The richly ornate interior finishes will be cleaned and restored, including the famed Warner Murals and the historic Kimball organ. Current estimates project that work will begin after the Jewish High Holy Days in 2011, necessitating closure of the Sanctuary for approximately 24 months and reopening for High Holy Day services in 2013. Next, renovation of the 1929 two-story historic school building on Harvard is planned along with construction of a new, four-story school building. Both buildings will house the Erika J. Glazer Early Childhood Center and serve as the incubator space for the Richard and Geri Brawerman Elementary School East. Circulation improvements are also planned for the site through the construction of a central staircase along with modifications to the 1960s administration building. Interior improvements to Piness Auditorium and Stalford Hall are then planned. The final proposed element to the Phase 1 plan is construction of a 500-space parking structure, with three below-ground floors and three above-ground floors. Spanning the north end of the 3.9-acre site along 6 th Street, plans call for a rooftop open-air play-yard on the top floor of the parking structure. Plans also anticipate that the Karsh Family Tikkun Olam Center, will occupy the ground floor along 6 th Street, which will house the Temple's Food Pantry and provide space for other social service programs. The Temple's food pantry recently celebrated its 25 th year of operation and currently serves approximately 200 people/families with bags of food every Sunday. Total costs for the first phase are $140 million, with nearly half of those costs directly associated with restoration of the Sanctuary and other historic buildings. To date, more than $73 million has been pledged or donated for the project. For more information and updates, visit the project's Building Lives website: buildinglives.wbtla.org.